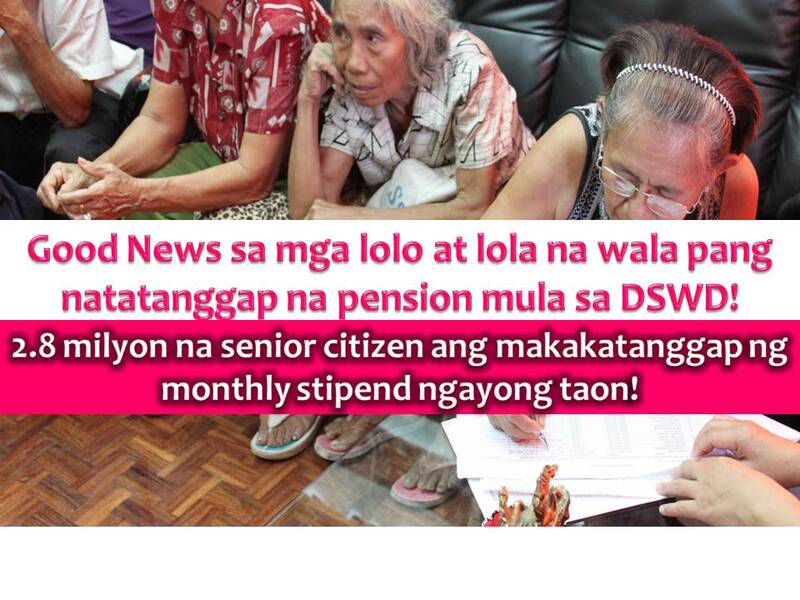 Indigent senior citizen will be having a good news this year. It is because the Department of Social Welfare and Development (DSWD) is planning to provide a monthly stipend to 2.8 million indigent senior citizens this 2017. Target beneficiaries are those who are age 60 years old and above who are frail, sickly or with a disability; with no regular income or support from family and relatives, and without a pension from private or government institutions. 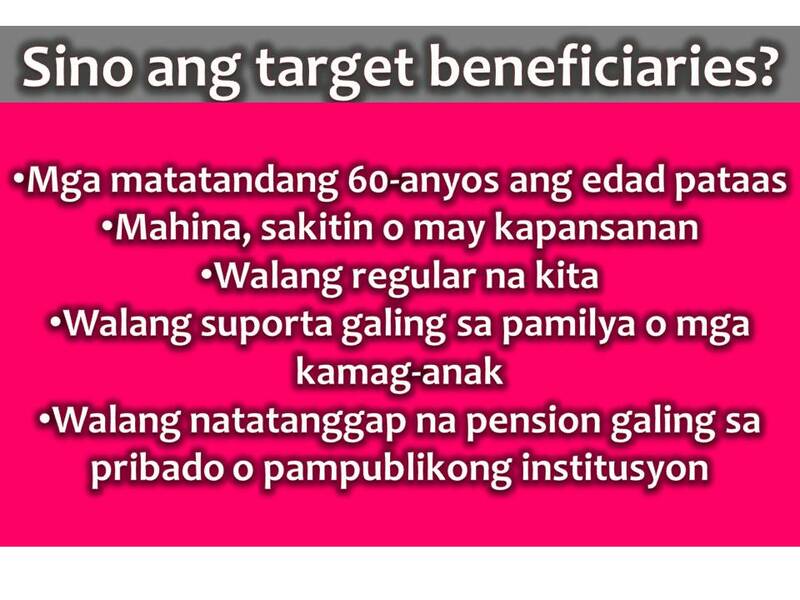 The 2.8 million figure is more than double from the 1.3 million target beneficiaries last year in Social Pension for Indigent Senior Citizens (SPISC) Program. The program has already an approved budget fund worth P17.94 billion this 2017, much bigger compared to P8.71 billion in 2016. The objective of SPISC program is to grant poor senior citizens P500 to augment their daily subsistence, including their medical needs and aims to improve the living condition of eligible indigent senior citizens and to protect them from neglect and deprivation. DSWD is the implementing agency of the program through its 17 field offices, in partnership with local government units and with Office of the Senior Citizens Affairs. As of January 31 this year, a total of 1,331,747 senior citizens, of the target 1,375,970 beneficiaries for 2016, were able to receive their social pension. The conduct of payout is still ongoing for the remaining 44,223 beneficiaries. HOW TO AVAIL MEDICAL, EDUCATIONAL, BURIAL AND TRANSPORTATION ASSISTANCE FROM DSWD? WHO CAN AVAIL FREE MEDICINES FROM THE GOVT AND WHAT ARE THE REQUIREMENTS?